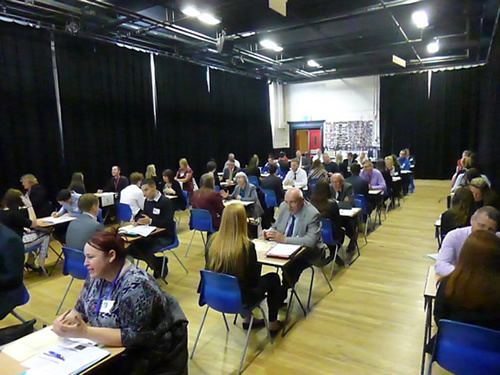 Following on from our involvement with their Y11 mock interview day, I’ve been back to Westleigh High School to give some students a bit of extra help with putting together personal statements on college and job applications. Every piece of writing needs a beginning. Say why you’re applying for the job or course and why you have chosen to apply to this particular college or business. Mention your ambitions and why this subject, job or route interests you. This is an important section to get right. State why you’re suited to the job or course you’re applying for, listing your relevant skills, experience and achievements both in school and outside. Apply your interests and hobbies to what you’re applying for; for example, if you enjoy sport this links well to themes of teamwork and motivation. Colleges and workplaces like to see that applicants have some life experience and are motivated enough to want to familiarise themselves with the workplace. You can show an interest in working with different people and a drive to become more independent. Volunteering is very popular amongst Further and Higher Education establishments, and for many companies an interest in working with the community is increasingly important. By involving yourself in voluntary work, activities, groups and organisations both inside and outside school, you can show a willingness to work as part of a team and a drive to help others. Apply these to the role or college course you’re applying for and state why you like them. They need to be relevant so, for example, you may enjoy the creative aspects of art or English, or the way that history has shaped the modern day. Sat what you’re looking to achieve from the job or course you’re applying for and where you hope it’ll take you. If you’re not sure, emphasise your passion for subjects and demonstrate a commitment to your study, strengthening your knowledge. Round off your application with some strong statements. Emphasise your personal skills; you may be a good team player, a strong communicator, imaginative, hard-working, driven or motivated and this is where you really need to sell yourself, demonstrating why your chosen college or company should choose you. Finish by saying that you’re looking forward to progressing your career or studies. Spelling, punctuation and grammar! It is SO important to get this right. First impressions count so make sure that your writing is as carefully put together as possible. If you’re lacking a bit of confidence, type out your statement first and use spelling and grammar checks; they’re not ideal and definitely not always right but a useful starting point. Keep it positive. Don’t mention negatives; the statement has to make you stand out and shine in a positive light. Make yourself unique. You need to stand out, emphasising qualities which make you different from the next applicant. Use the space you’ve got. If you have two sides of A4 on an application form for your statement, it’s an indication that the college or company you’re applying to want that level of information from you.